If we head to Bayswater in London today, we will find that while it is close to Hyde Park, it often still features very old-fashioned homes from when the area was developed just after World War II. There have been so many conversion projects on the agenda in the region, which means it could soon be as popular as parts of West London. Today, we are going to look at an old ground floor apartment, which underwent an extraordinary restoration by The Lady Builder. The whole identity of the building was changed, raising the value of the property enormously. Let's see how this dilapidated home became a suitable apartment for the London elite! 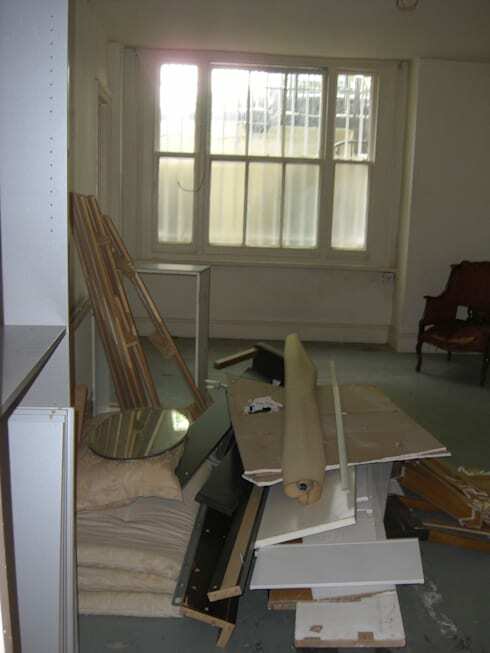 The open-plan kitchen, leading off from the living room and the dining room, was in a deplorable state. 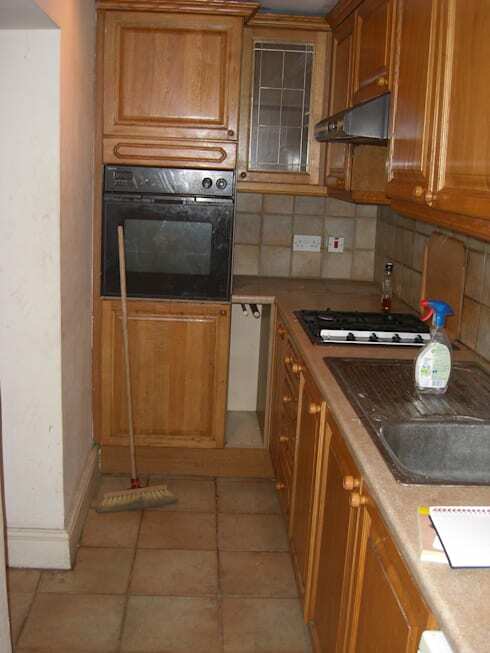 We can see that the kitchen is narrow and very restricted. It also looks very old-fashioned and dark. 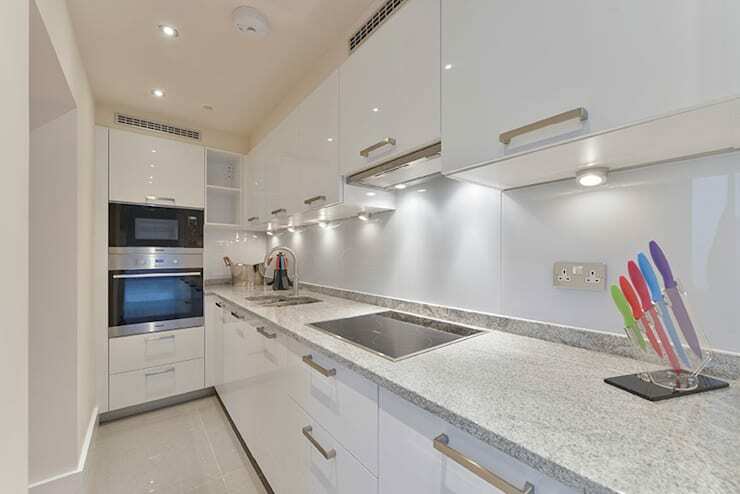 As we see here, no detail has been neglected when it comes to the design of the new kitchen. It features dazzling LED lighting, granite counter tops, elegant fixtures and very impressive state-of-the-art built-in appliances. White cabinets and white walls also lighten the narrow kitchen, making it seem that much bigger. The apartment was literally falling apart and was very dilapidated. The floor is bare, there is no heating system, the windows are broken and the lights are hanging from the wall sockets. There is also a mess all over the apartment! Can you believe the change in just six months? 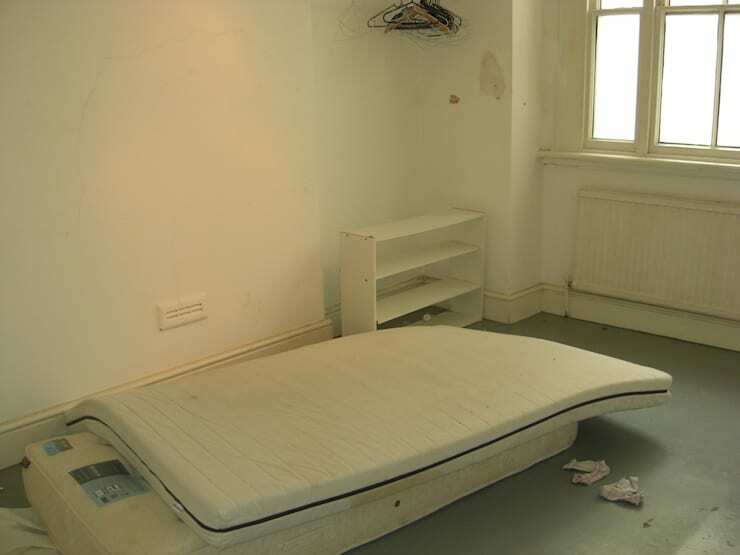 Compared to how it looked before, this room is unrecognisable. 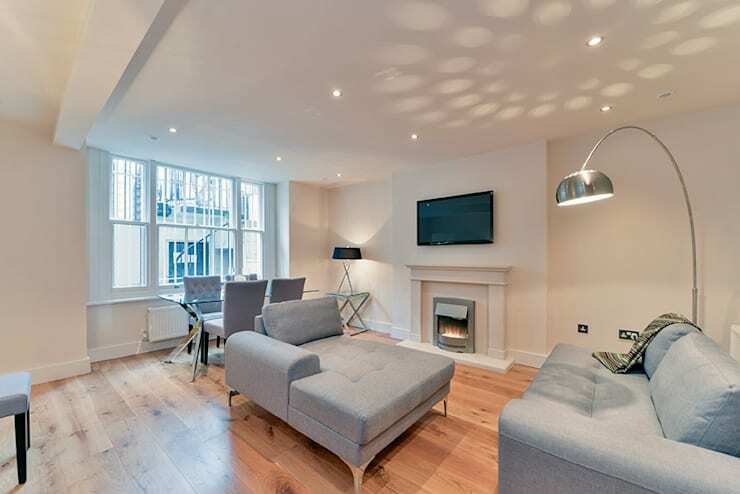 The space has been transformed into a modern house with underfloor heating and gorgeous oak laminate flooring. The new and improved home also features an integrated sound system in the ceiling of every room. The designers have gone for white walls for the rooms in the house and in this living room, we can see that they've gone for very neutral furniture. The overall style is very sleek and minimalist. Don't you love the effect that the lighting has in this space? The lamp creates a circle on the roof, working in harmony with the ceiling lights. This creates a very soft and peaceful ambiance, which makes for a very warm and homely space. 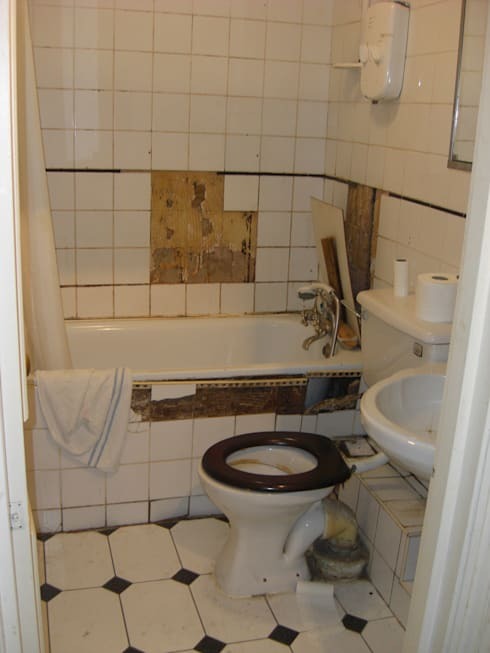 The previous bathroom was in a very bad condition. We can see that tiles are falling out and this space has become completely unusable. Could you even imagine showering in here? The Lady Builder professionals have created an extremely luxurious bathroom to impress home buyers. The shower gives the effect of a rain forest, which is encased entirely in glass—very sophisticated! 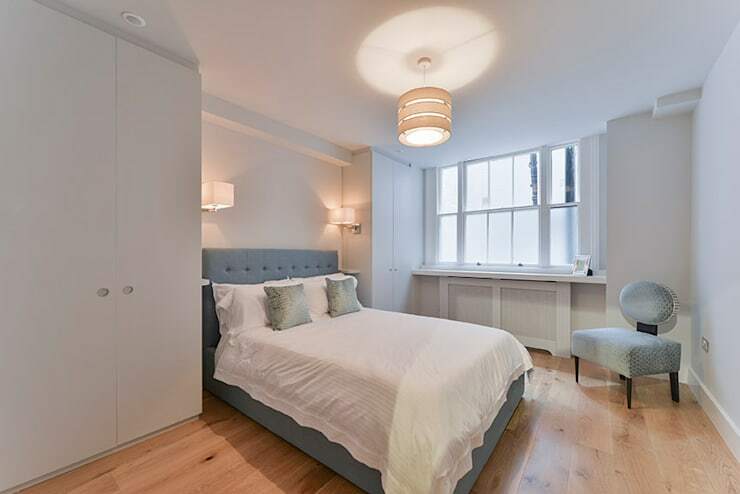 There is also a little television in the bathroom, which is waterproof, allowing the residents to sit back in a hot bath and watch their favourite television show. We all need one of those! Here's the bedroom at the end of the house. Before the intervention, it was dark and damp. The walls are also old and yellowing, while the furniture in here makes our skin crawl. The architects have completely transformed the bedroom! There is now a wardrobe and enough storage space so that you never feel cramped or crowded in this room, despite its size. Smart storage space is a must in any city home, allowing you to keep your home looking neat and spacious. Have a look at these: Inspired storage solutions for small homes. We hope that this ideabook gave you the inspiration to spruce up your own apartment or put a little bit of effort and creativity into a space so that you can live in your dream home. Did you find this ideabook inspirational?